#debtline People are struggling to make ends meet even in the cheapest form for housing. The Citizen's Advice bureau has stated that there has been a 16% rise in rent arrears within social housing sector and a 26% rise in threats of repossession within this sector. Add to this the changes in housing and council tax benefit it has made the situation extremely difficult this is reflected in the increase of enquiries about discretionary housing benefit payments which can be paid on top of housing benefit, when housing benefit does not meet all the rental costs; enquiries for this type of payment has increased by 110%. 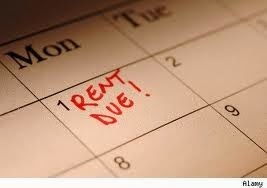 Are you one of the many struggling to pay rent are you paying other debts first as they are more demanding. Please contact Twinpier for advice. Shelter has warned that almost 4 million people are just one pay cheque away from losing their home. The charity has warned that 44% of working families only has enough money to make one months payment towards their rent or mortgage if they lost their job tomorrow and couldn't find work straight away. Within that 4 million figure yougov found that 2.9 million would face face the immediate threat of eviction as they had no savings at all. New bailiffs rules come into force on on 6 April 2014 and follow the Ministry of Justice consultation on the debt collection industry last year. They are part of a wider package of reforms to the Tribunals, Courts & Enforcement Act 2007. · A ban on bailiffs entering homes at night and from using physical force against debtors. · Bailiffs will also be prevented from entering homes when only children are present, and from taking household essentials such as washing machines. Have you asked your family to lend you money. More than one in three over-65s have helped pay off debts of more than £2,000 for children or teenage grandchildren, the research from MetLife shows. As many as 17 per cent of the over-45s have helped out their teenage children – and this proportion doubles for over-65s helping out adult children and teenage grandchildren. Of the 32million Britons with existing unsecured borrowing such as credit cards, overdrafts or loans, as many as nine million will move further into the red to cope this year, the poll from MoneySupermarket found. Furthermore two-fifths of people in debt are forced to rely on credit in order to pay their way day-to-day, be it a credit card, personal loan, overdraft, store card or finance agreement. Debt collectors are buying up debts for as little as 10 pence in the pound. In the hope that when they collect the debt they can can get more back from the debtor than what they paid for it. Credit cards and loans that have been defaulted on can be reassigned to another company who then becomes the owner of the debt. Debt collectors are set to spend 1.5 billion on bad debt from banks and other lenders by the end of 2017 almost doubling previous figures according to leading credit ratings agency Standard & Poor.